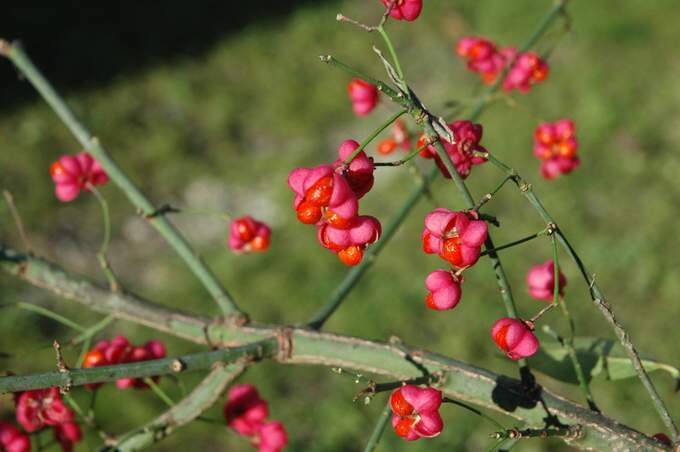 Euonymus europaeus shrub in fruit. commons.wikimedia.org (Accessed 6/2018). 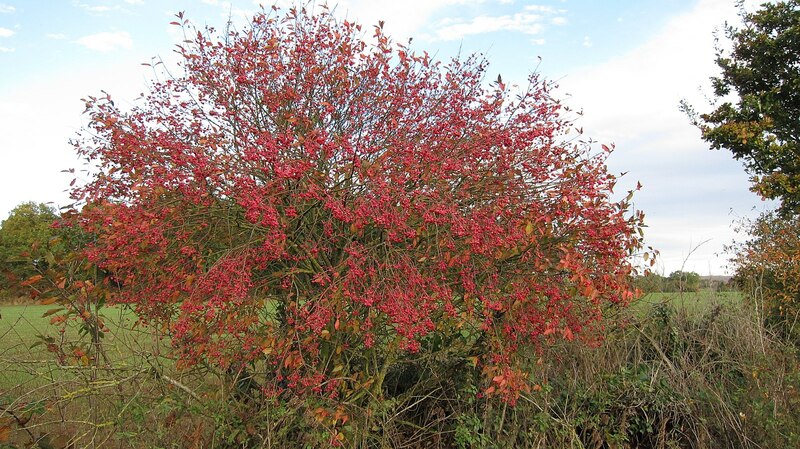 Euonymus europaeus is a shrub to 7 m; twigs green, slender, opposite, apparently clonal from root sprouts. Leaves opposite, to 8 cm long, narrow, tip long-pointed, base tapered, margin toothed, stalk to 1.2 cm. 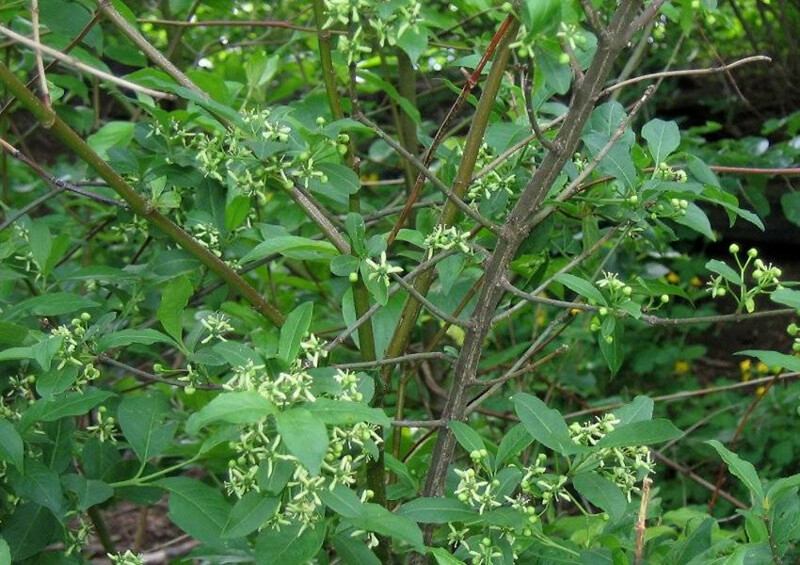 Euonymus europaeus plant in bloom. By Alexey Zinovjev and Irina Kadis. Copyright © 2018. Salicicola – www.salicicola.com (Accessed 6/2018). Flowers greenish, about 1 cm wide, in clusters of 3-5 on a stalk to 3 cm long, May. Fruit red to pink 4-lobed capsule, ca 1.5 cm wide, opening to reveal seeds covered by fleshy orange arils, Sept.-Dec.; bird dispersed. Reputed to be poisonous (Kingsbury 1964). Euonymus europaeus fruit. Aldo De Bastiani. luirig.altervista.org (Accessed 12/2014). Habitat: Moist woodland edges. Often overgrown horticultural specimens.